Goodbye 2016, you beast of a year, you. And hello 2017, you year full of possibilities! Since it’s January, we babes are trying to forget about the drama and downturns of last year, and what better way to do that than by drooling over all the new travel destinations we want to check out this year? We’ve rounded up the hottest 12 places on our travel list, and the best months for traveling there. From long weekend trips a few states over to lengthier ventures abroad, from budget jaunts to blow-the-bank vacations, we’re aiming to cross at least a few of these bad boys off our bucket list this year. Care to join us? Why We Chose it: It takes a lot to get us out of our standard 65 degree NOLA winter weather, so if we’re going to somewhere as cold as Whistler, you bet it’s going to be awesome. And we’ve heard skiing burns quite a lot of calories (I’m looking at you New Year’s resolution). What to Do: Whistler has some of the best skiing to offer in all of North America, and views to match. And if skiing isn’t your thing, we won’t judge you if you skip straight to the hot tub/spiked hot chocolate situation. Why We Chose it: We know it’s a sin to miss Mardi Gras, but if we HAD to be anywhere else, we guess a place with breathtaking views, the bluest water, and delightful tropical drinks isn’t too bad. And unlike in the Summer months, where the heat can get a tad stifling, temperatures in February generally remain in the 70s-80s. We’re picking out our bikinis already. What to Do: Whether you are looking to get your adventure on with some scuba diving and shark swimming or would rather do some hard relaxing with sunbathing on the dock and beach bar hopping, Caye Caulker is not at a loss for daytime activities. And while generally believed to be the “slower” of the Belizean islands, it actually offers some incredible nightlife. For a full guide to Caye Caulker, make sure to check out our Babes Guide to Belize. Why We Chose it: If you haven’t heard, Mexico City is having a bit of a moment. The city that was once most known for its crime is now on the world stage as one of the trendiest destinations for travelers. And with luxury Airbnbs for under $50 a night and cheap Southwest flights from NOLA, we have no excuse for not checking it out (as if we needed any). What to Do: You might have realized by now that the entire Babes Crew is *slightly* obsessed with tacos. And with Mexico City’s burgeoning food scene and an abundance of nightlife options, you can find us eating ALL the Mexican food and drinking ALL the margaritas. Why We Chose it: Napa Valley brings a whole new meaning to “Rosé all day.” As spring domestic getaways go, we’d be hard pressed to find a more beautiful or indulgent destination. And the sunny, mild weather, and jaw-dropping views make the wine taste all that much sweeter. What to Do: This one is pretty self-explanatory. And travel tip: if you are looking to save on costs while still balling out in Napa, check out the many Airbnb options (most of which are much cheaper than hotels, especially for groups) and consider Uber-ing between wineries. Ubers are pretty much always available, and with a little strategic winery planning, they end up being much cheaper than hired cars or limos. Why We Chose it: We’ve heard there are a few places more beautiful in the Spring than Ireland, but we have yet to find them. And with cheap, quick roundtrip flights from NOLA, we can almost taste the Guinness already. What to Do: Take a stroll through St. Stephen’s Green and the Trinity College library, drink up while touring the Guinness Factory and the Jameson Distillery, and stumble your way through Temble Bar (Dublin’s very own Bourbon Street). And if you have time to take a day trip from the city, rent yourself a car, and head a few hours outside the city to see the breathtaking Cliffs of Moher. Just remember to stay on the left side of the road! Why We Chose it: Dubrovnik has quickly become one of the world’s most popular travel destinations, and with good reason. Located right on the Adriatic Sea, and dating back to Medieval Times, Dubrovnik is not lacking in either beauty or history. And for Games of Throne fans, this is a bucket list MUST. What to Do: Whether you are looking to go full-baller romantic Honeymoon style or just hit the beach with your girlfriends, Dubrovnik won’t disappoint. The city is not at a loss for VIP clubs or bars (with beautiful views of the sea), hip restaurants, or fancy yachts (if you can befriend someone to get aboard one). 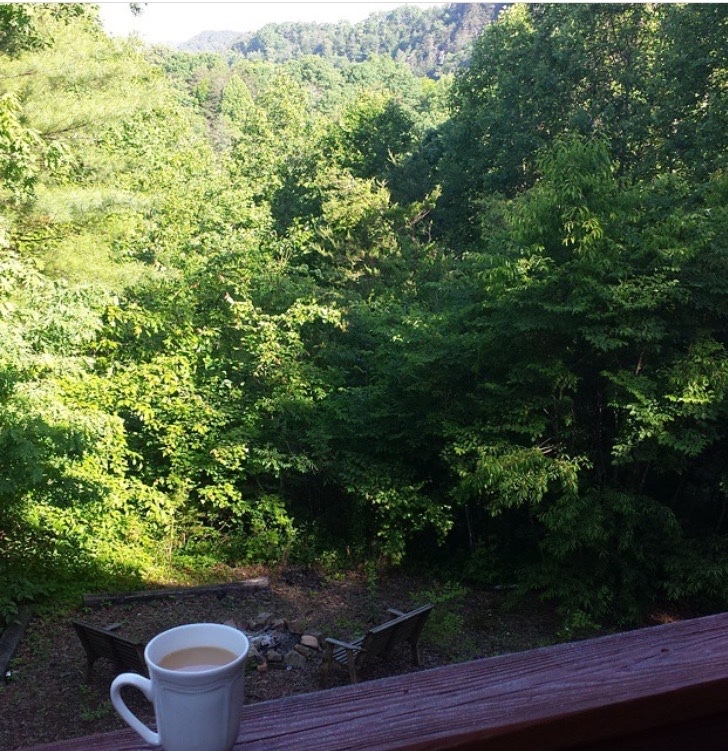 Why We Chose it:The Blue Ridge Mountains are what long weekend dreams are made of. Located about an 8 hour drive from NOLA, or about two hours from the Atlanta airport by rental car, it’s the perfect destination for a mid-summer road trip. So round up your girls, book one of Blue Ridge’s many luxury cabins (make sure to snag one with a hot tub – those mountain nights get cool), and enjoy a long weekend filled with nature, friends, and most importantly relaxation. What to Do: Spend your days hiking the hundreds of trails in the Blue Ridge, cool off in the stunning Lake Blue Ridge, and head back to your luxury cabin for a night filled with whiskey sipping and star gazing. Seriously, we do not get those night time sky views in NOLA. Why We Chose it: Just try to find a more backpacker-friendly country to visit than Thailand, we dare you. And while we’re madly in love with the whole dang country (we’re looking at you Chiang Mai), the one place you can’t stand to miss in Thailand is without a doubt Koh Tao. The more easygoing, but still party-crazy sister island to Koh Phangan (home of the Full Moon Party), Koh Tao is easily one of the most beautiful places where you will ever step foot. And August is the perfect time to visit. While temperatures are hot, rain is limited, which means you can spend your days on Koh Tao’s white sand beaches looking at its ridiculously good looking water. What to Do: Koh Tao is known as one of the world’s most popular scuba diving destinations, so getting your PADI certificate is a must. And you’re in luck, since certification classes at Ban’s Diving Resort cost about 1/4 of what they do in the States. Once you’ve had your fill below water, come on land to prepare for one of the island’s tri-weekly Pub Crawls, complete with a pool party, fire twirlers, and a Lady Boy show. And if you’re looking to spend more time in Thailand outside of Koh Tao, make sure to check out the official Babes Guide to Thailand. Why We Chose it: We’re calling it. Krakow is going to be one of 2017’s best travel destinations. Steeped in history, and with an incredibly underrated (and largely underground ) nightlife scene, and beautiful scenery, this destination is absolutely at the top of our lists. And, like many other cities in Eastern Europe, food and lodging expenses are incredibly cheap, especially compared to those in Western Europe and the U.S.
What to Do: Spend your days wandering through the Old Jewish Quarter, scoping out all the churches and castles (yes, castles!) or simply strolling through all the beautiful city squares. And spend your nights testing out all the clubs and bars Krakow has to offer. We’ll be working on confirming that urban legend that Krakow has the highest density of bars in the world. Why We Chose it: Y’all, if Austin has been on your bucket list for some time now, you’ve officially run out of excuses for not visiting. It’s a short one-hour flight or six-hour drive from NOLA, it’s hands down the quirkiest and hippest city in Texas, and hello ….. the food. We recommend waiting until October to finally make the quick jump one-state over, when the temperature finally starts decreasing, and, oh yeah, a little thing called Austin City Limits comes to town. What to Do: While we will obviously be a *tad* bit preoccupied with ACL, you know we will be fitting in time to hit up ALL of the BBQ joints. Oh, and see above re: tacos. Why We Chose it: While just picturing winter in Iceland has us reaching for a blanket, we have two words for you: Northern Lights. And with ridiculously cheap airfare through Iceland Air (which also offers free multi-day layovers in Reykjavik if you are traveling elsewhere in Europe), or WOW, Iceland’s new budget airline, as well as hotel rates about half those in the peak Summer months, your bank account will be thankful. What to Do: First and foremost, be sure to check out Reykjavik’s most famous attraction and possibly the world’s most popular geothermal spa: the Blue Lagoon. Once you get your fill of relaxation, scuba dive between Iceland’s tectonic plates, go horse back riding, and make sure to check out downtown Reykjavik’s ever-growing food and nightlife scene. And if you have time to spare, make sure to rent a car and check out the entire Ring Road, which (true to its name), circles the entirety of Iceland, and opens up tons of options in which to get your perfect view of the Aurora Borealis. Why We Chose it: Is there really any place more magical than New York at Christmas? Whether its the ice skating in Bryant Park, the magnificent tree in Rockefeller Center, or just the cheeriness of the season, NYC seems to have a certain electricity during the holidays, that can’t be captured through a Christmas movie (try as you might “Elf”). What to Do: Channel your inner Blair Waldorf and window shop in Bendels and Barneys or go full blown tourist and catch the Rockettes in action. Whatever you choose, there’s absolutely no shortage of activities (holiday related or not) with which to occupy yourself. And if there’s one thing we can guarantee you, it’s that you will not be bored. What other destinations have you added to your bucket list for 2017?